is wonderful. I decided to Create a Keepsake Memory Box. You know… for all those special little things that you want to keep and remember forever. A perfect little box to fill with small gifts for Weddings, Mother’s Day, Bridal or Baby Showers. For my Keepsake Memory Box and Tag I used three of the trims. Paint a large paper mache box with white acrylic paint. Stamped greeting is from Serendipity Stamps. 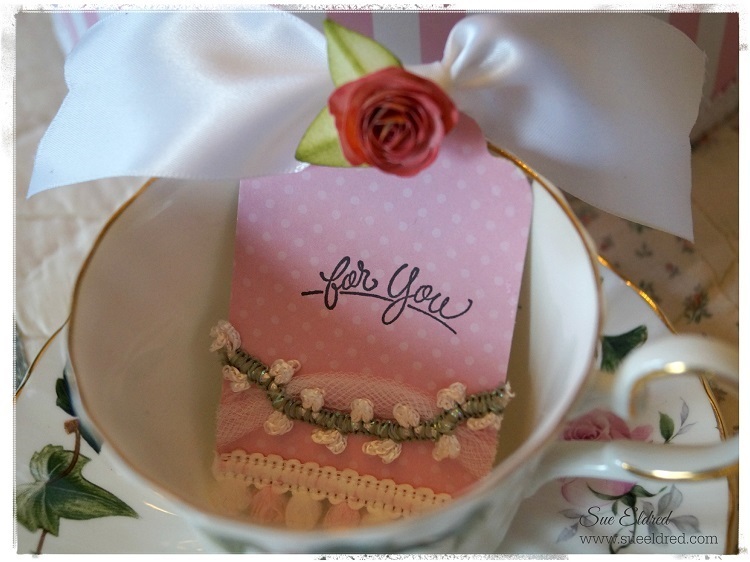 Today’s post is part of a blog hop hosted by Decorative Trimmings. 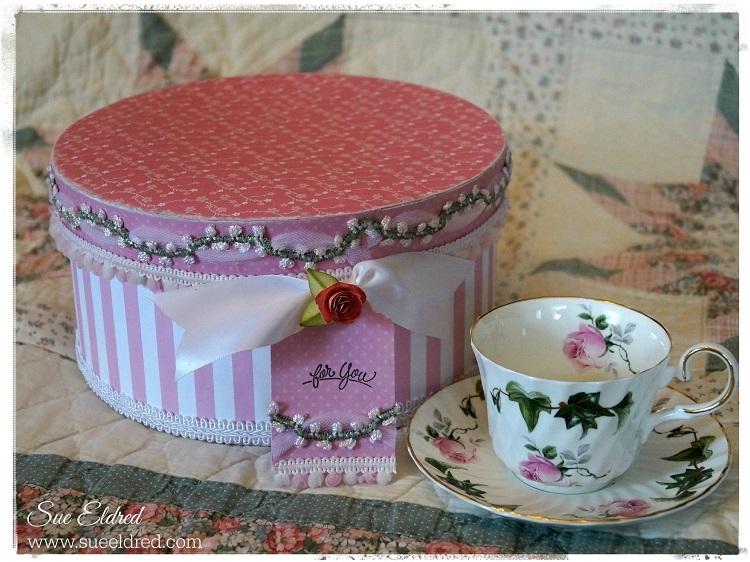 Love the hatbox, so pretty in pink. Thank You Lorine for getting this together. I really love using the trim. Everything about it is so sweet and love the choice of trims! Such a sweet memento box, love the rose. We picked the same trim! This is sooooo pretty!!! Thank You for contributing to the Decorative Trimmings Design Circle. 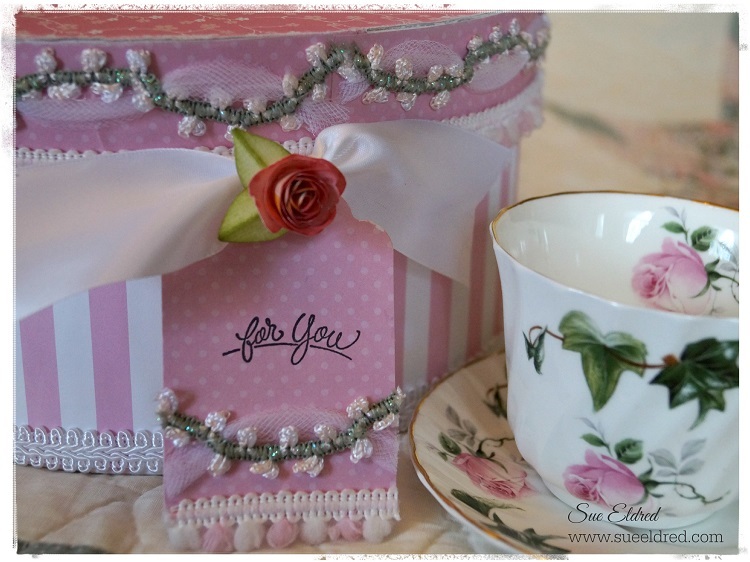 Your keepsake box is a Springtime confection!